Peninsular Lumber is the Tampa area’s finest vendor of quality lumber and lumber products. If you’re in need of lumber, siding, molding, or custom doors, Peninsular Lumber will serve your needs with excellent service, superior products, and a convenient location. Located west of Dale Mabry and a couple streets south of Hillsborough, our Tampa Custom Door Shop produces some of the finest, high-quality doors in the entire United States. Being one of Florida’s foremost vendors and workshop of custom doors, we are ready and willing to fulfill your homes’ need for custom doors and door related hardware, including knobs, hinges, molding and other specialty items to meet your demand for the highest quality custom door. Since 1947, Peninsular Lumber has been the name of choice for Tampa custom doors. Providing you with custom doors composed wood, fiberglass, metal and composite materials. 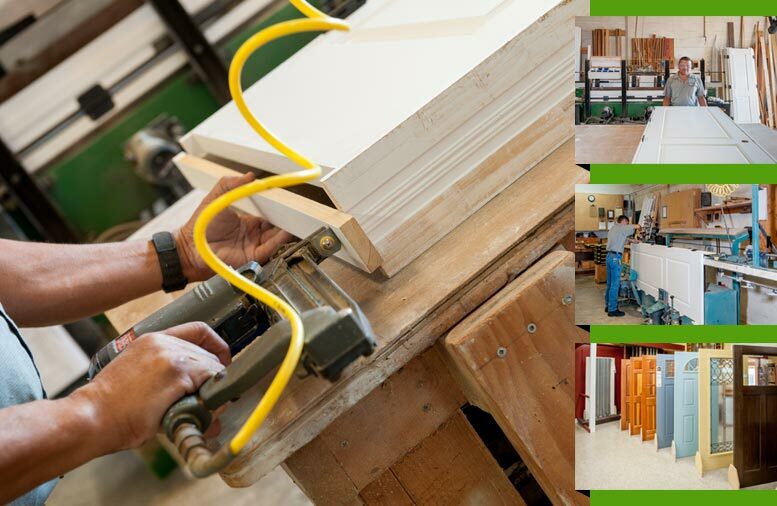 We have the years of experience, a beautiful custom door showcase, and the capabilities to ship out several hundred doors fabricated on site each month. Peninsular Lumber is your best choice for custom doors, hands down. If you can’t find what you need in our showroom, we can build a custom door to your desired specifications! In addition to our custom door fabrication services, we also provide a wide array of retail doors to meet the needs of your home repair or remodeling needs. Every door can be fit to meet your desired requirements. In addition, we offer a wide array of paint colors and other materials that your door can be constructed from. Peninsular invites you to visit us today and come see our custom door showroom, located at 4812 N. Grady Avenue, in Tampa, Florida. Don’t live in Florida? No problem! We offer delivery services across the continental United States. One of our representatives can help you with your custom door needs and questions; feel free to call us at 813-875-8805 or use our contact form to ask us your questions. We’re here to serve!